Copy Central Burbank: The House of Secrets 2017 Interview! Comic Book Legends. The House of Secrets 2017 Interview! Comic Book Legends. Comic books were once considered entertainment for kids. They could go into the local convenience store, spend $2.00 and get hours worth of entertainment. Super heroes, masked villains and aliens from other planets were all within your grasp for just pocket change. Today comics books are a 1.03 billion dollar a year industry. Comic book movies dominate at the box office. Network television has programs based on comic books almost nightly. The success of The Walking Dead opened the doors to a whole new reading population. 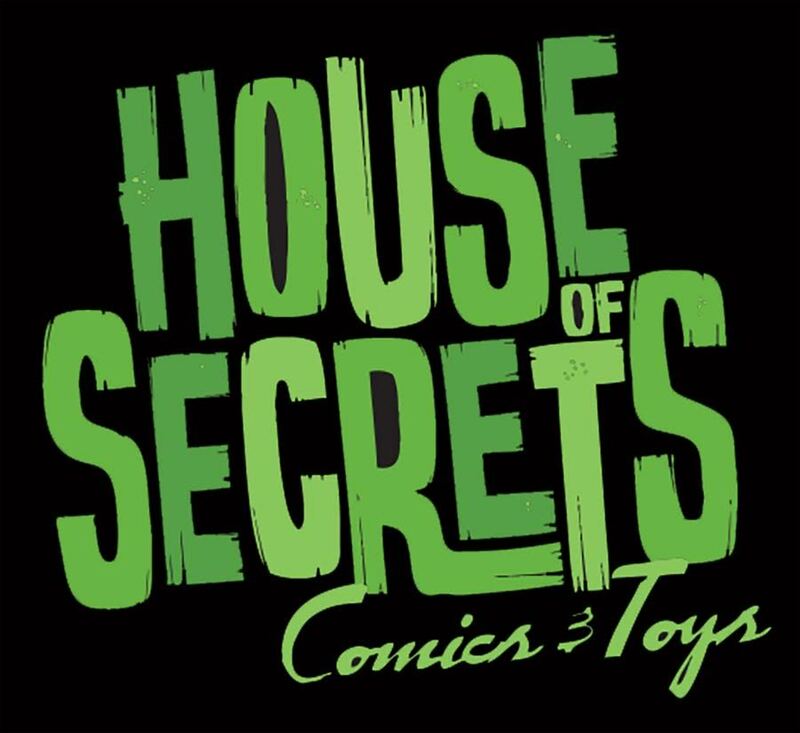 With the popularity of comic books rising we thought we would talk to the owner of The House of Secrets in Burbank, one of the oldest comic book stores in the LA area. Situated between Marvel Studios and DC Comics, they’re at the center of the current comic book universe. We talked with owner Paul Grimshaw and got a State of the Union! How long have you been in Burbank? We’ve been here for 19 years. We started as House of Mystery on Magnolia and then moved to our current location on Olive and became House of Secrets. How has the landscape of the comic industry changed in those 19 years? There are far more comic companies these days. Marvel and DC used to be the only two publishers of note. Image Comics started as a schlocky cousin in the 90’s with Spawn, but have since become the powerhouse third wheel to Marvel and DC. There are also fewer comic book stores nowadays. Do you have a typical or specific type of customer? Yes, those with good taste and thick skin! 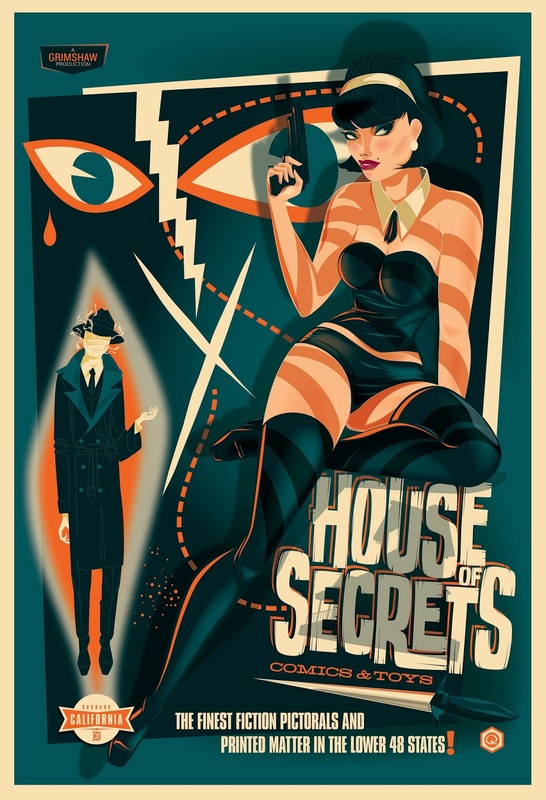 Movie studios surround House of Secrets; you have to have celebrity customers! Yes, however if I started name-dropping, I don’t think they’d be shopping here much longer. Come in and see for yourself! What does the future look like for the comic book industry? I think the future looks good for comics. Talk of digital death is a bit far fetched. People still need paper in their life. The touch and feel of comics is a unique experience, one I think will stick around for a while. 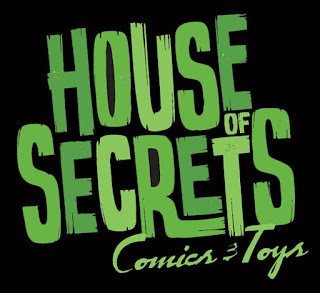 It’s worth noting that House of Secrets also publishes their own comic books under the Art of Fiction brand.